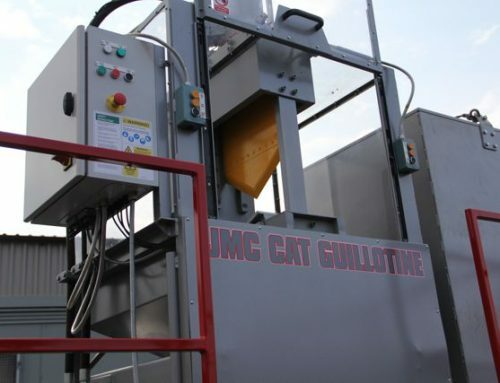 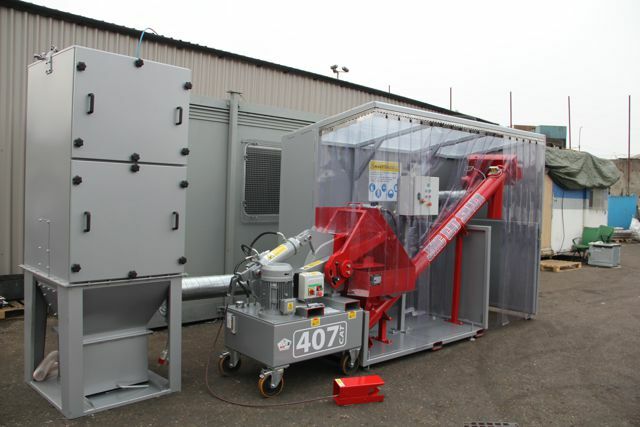 The CAT Shack is a purpose built dust extraction unit which has been designed to work in conjunction with a JMC catalytic converter shear. 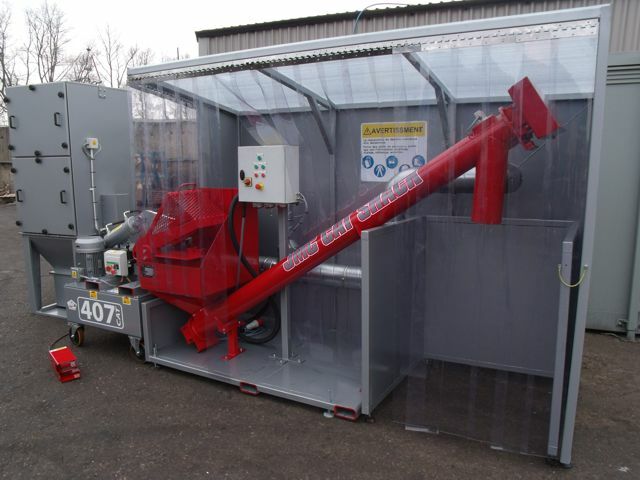 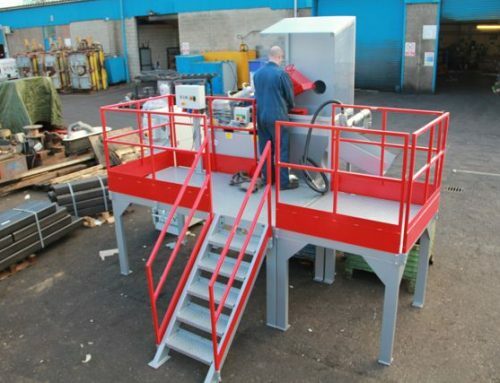 It provides a safe working environment for your operators, increases throughput, and maximises dust collection. 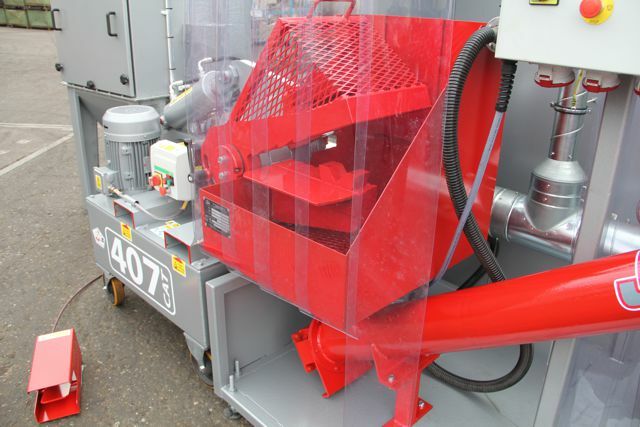 A filtration unit removes airborne dust at the shear head and a screw conveyor transports solid material from the shear into a collection bag. 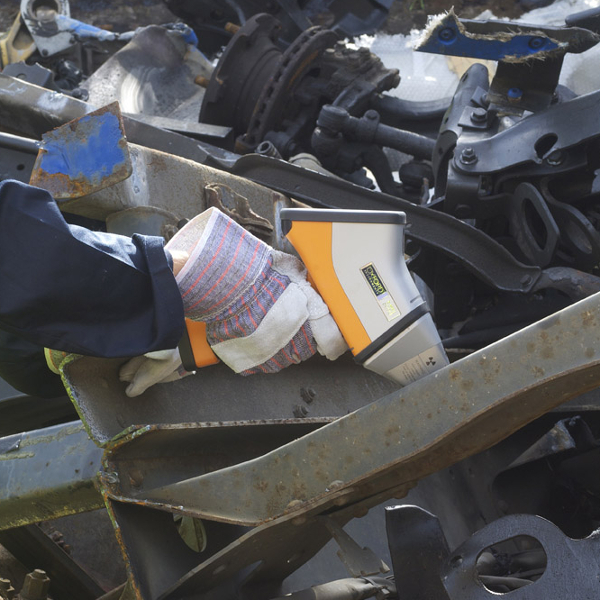 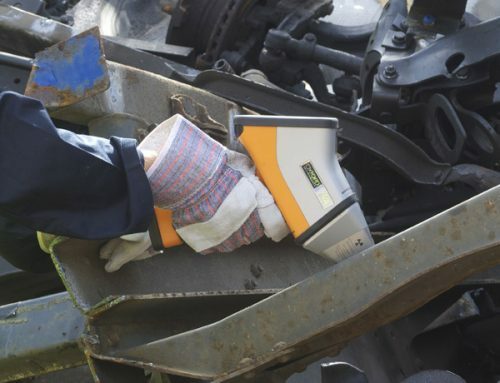 Using a CAT Shack will ensure that the operator is protected from the dust and as much of the valuable catalytic converter content is recovered as possible. 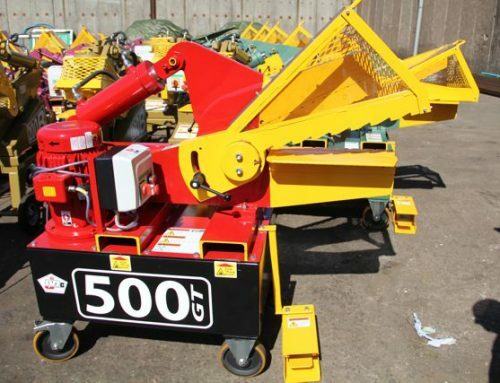 CAT shack is compatible with JMC 407, 500 and 600 CAT shears.